Do you live in Douglas County and want to become ASIST certified? Community partners in the Douglas County area are hosting Applied Suicide Intervention Skills Training (ASIST) workshops open to all in 2016 and 2017. ASIST is a 2-day workshop designed to teach skills to confidently intervene with someone at risk of suicide. ASIST is a standardized suicide intervention program developed by LivingWorks Education, Inc. Select the District A-Z tab, choose Professional Development under employee resources in the second hand column and then choose the PD Catalog button. If you do not have an account created, you will be prompted to do so. Select ASIST and the available courses will be listed. Questions contact: Roxanne Derks, Roxanne.Derks@dcsdk12.org or 303-387-9508. School Climate is defined as the quality of school life as experienced by those interacting with school environments (students, caregivers, school personnel). A positive school climate can have impacts on a wide range of outcomes, both health and academic, and has increasingly become an essential component in school improvement and bullying prevention. This toolkit was developed to provide an introduction into how public health practitioners can use their expertise to create meaningful partnerships with schools and work to strengthen positive school climate. Appreciating the contextual differences within communities and schools, this toolkit focuses on broad-based approaches that can be implemented concurrently and with any strategy. Communities That Care RFA is now available! Please apply and share with your networks. CDPHE received funding from the marijuana tax cash fund to support substance abuse prevention among youth using the Communities That Care across Colorado. Communities That Care is a community-based prevention model that was evaluated across the country with significant results, including preventing youth substance use initiation and youth crime and violence. This model helps local communities assess the specific risk and protective factors among the youth in their communities. The communities then pick from a menu of effective, evidence-based programs and strategies to address the specific needs of local youth. The CFPS State Support Team at CDPHE is happy to announce the availability of supplemental CFPS funding to support child fatality prevention efforts in your community! Local child fatality review teams are eligible to apply for funding awards ranging from $3,000 - $10,000 to support evidence-based, data-driven child fatality prevention efforts at the local level. Awarded funds will be incorporated into existing contracts between CDPHE and coordinating agencies of local child fatality review teams. If you have any questions about this supplemental funding or the process, please contact the CFPS State Support Team: ​support@cfps.freshdesk.com. Proposals must be submitted no later than Friday, November 18, 2016 at 11:59pm MST. What do hanging chads, Billie Mays, and the space-time continuum have in common with the new fillable SUIDIRF? Not that much it turns out. Have you ever spent hours working on a project only to have the dog chew it up right before turning it in? Been to a home closing only to have your pen explode and cover your new home mortgage documents in ink? How about spilling coffee all over the Sudden Unexplained Infant Death Investigation Reporting Form (SUIDIRF) you just spent so much time completing? Even Billy Mays, were he still alive, would find these scenarios cringeworthy! If any of these have ever happened to you, you understand what a time burden it can be to go back and correct. Now you can put that fear behind you when you or your investigators are completing Sudden Unexpected Infant Death (SUID) investigations. Introducing the new and improved, entirely electronic, and completely fillable SUIDIRF! It’s a less-than-revolutionary way to complete your scene investigations and capture all of your relevant investigation details! Yes, like a DeLorean reaching 88 miles per hour the CDC raced through time and has finally come to rest in the world of 21st century investigative methodology. Great Scott! Emmit L. Brown would be proud. Like the extinction of the hanging chad, gone are the days of your co-workers and partners interpreting your checklists to decipher which responses are actually selected. With both checkboxes and fillable text entry fields alike, you can now provide your investigation details like a pro. Eliminate the need for expensive, confidential file storage systems or complicated document shredding processes. No more intimidating visits from your agency’s Records Compliance Officer, looming over you in a not-so-subtly- threatening way! Yes, Biff, someone is home! Complete the form, save your work, and be on your way! Replace your outdated tech in an eco-conscious way and let the new fillable SUIDIRF revolutionize your investigations the way Mr. Fusion did for Doc Brown. Just remember as you wander haphazardly through this new world of investigative tools to watch out for sharks! October is Sudden Infant Death Syndrome (SIDS) Awareness Month, National Pregnancy and Infant Loss Awareness Month, and National Safe Sleep Awareness Month. 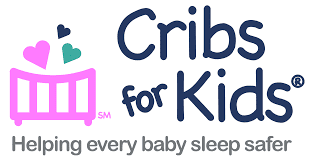 You can do your part to prevent SIDS and infant mortality and to promote safe sleep by becoming a Cribs for Kids Partner. Cribs for Kids' mission is to prevent infant deaths occurring due to accidental suffocation, asphyxia, or undetermined causes during sleep by educating parents and caregivers on the importance of practicing safe sleep for their babies and by providing Graco® Pack ‘n Play® portable cribs to families who, otherwise, cannot afford a safe place for their babies to sleep. Cribs for Kids Partners, of which there are more than 600 organizations nationally, receive free and discounted safe sleep educational materials (brochures, evaluation tools, and grant writing resources) and safe sleep products including the Graco® Pack ‘n Play®, portable crib sheet imprinted with a safe sleep message, Halo SleepSack, and Philips Soothie pacifier to distribute to families.